Across the country, town hall meetings have become contentious and members of Congress are in desperate need of concrete solutions to promises made on the campaign trail about the ACA. The rhetoric of the President’s speech was well-received, but fell short on providing the details many were hoping for. Ensure that Americans with pre-existing conditions have access to coverage and a stable transition for Americans currently enrolled in the healthcare exchanges. 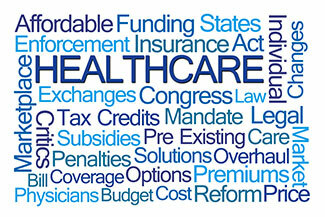 Help Americans purchase their own coverage, through the use of tax credits and expanded Health Savings Accounts. Give state governors the resources and flexibility they need with Medicaid to make sure all Americans can obtain coverage. Implement legal reforms that protect patients and doctors from unnecessary costs that drive up the price of insurance—and work to bring down the price of drugs immediately. Give Americans the freedom to purchase health insurance across state lines—creating a truly competitive national marketplace to bring cost down and improve care. At Association Management Center, healthcare associations are positioning themselves to be leaders in the discussion and demonstrating their knowledge and expertise through recommendations to Congress and the Administration. House Republicans released the American Health Care Act early this week, which mirrors many of the provisions that have been discussed previously, including repeal of the individual mandate, replacing tax subsidies with refundable tax credits, and restructuring Medicaid through the use of block grants to states. Key items such as maintaining coverage for people with pre-existing conditions and allowing children to stay on their parents' plans until the age of 26 remain, although new continuous coverage provisions could play into how these protections are operationalized. There continues to be dissention from policymakers who view this legislation as “Obamacare Lite” and it comes at a critical point as the House wants to move this bill quickly. The Congressional Budget Office still needs to score the proposal to determine how much it will cost and what the impact will be on current covered enrollees. House leadership has stated that repeal and replace legislation will be voted on by the end of March, but for that to happen it might take a little luck of the Irish. Whether a vote happens in March or not, the complexities of the healthcare system will remain the same and policymakers will continue to strive for improvements. Healthcare associations must stay nimble and engaged in the conversation. The value that we provide is our knowledge and understanding of the key drivers that influence healthcare delivery; knowledge and understanding that is bipartisan and patient centered.